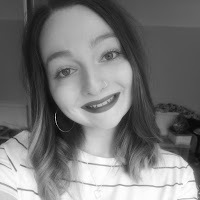 Evening all, tonight I have another new brand to share on my blog! 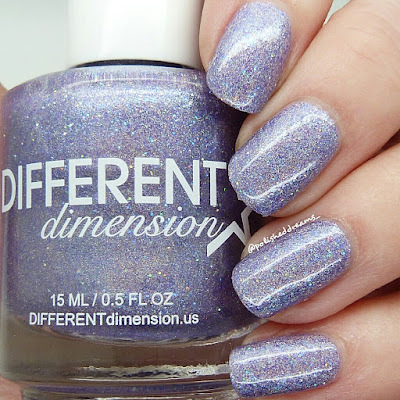 Different Dimension is an indie from the US and of course I've got my hands on them thanks to Rainbow Connection UK. I hadn't heard of them all that much prior to RC stocking them but after trying them I'm really not sure why! I chose two polishes just to initially test the brand (and also because I'm a poor student!) and now I definitely want more. The first polish I chose was Jill, obviously because it was purple and sparkly! Now I know I have lotss of purples but I don't *think* I have one similar to this...not one similar enough to stop me getting it anyway! Jill is a light lavender holo polish with blue undertones which really come out in my macro shot. 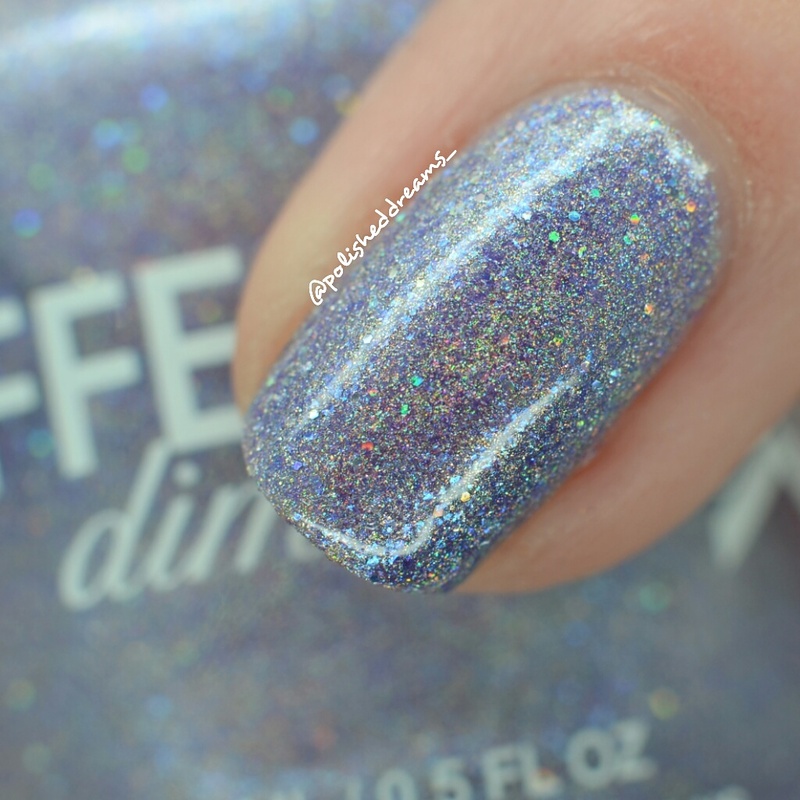 It also has added micro glitters and shimmers because sometimes holo just isn't enough! 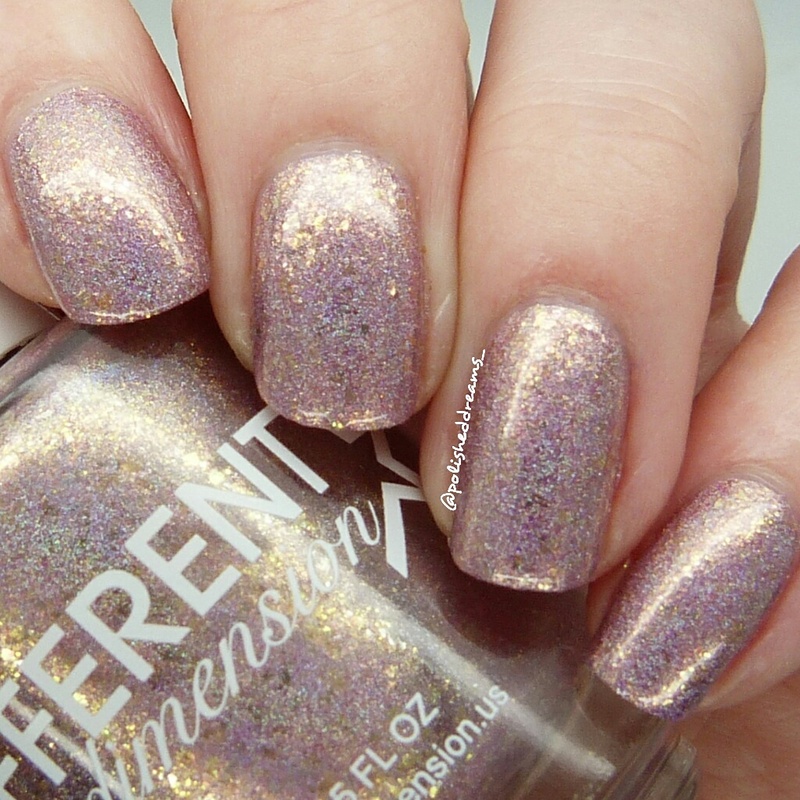 I've used a lot of great polishes recently and this was no exception with it's lovely formula and application. Shown here is two coats and topcoat. The other polish I bought is Bo Peep as I've been looking for a pretty pink holo for ages! Unfortunately this turned out to not be quite what I expected but I still absolutely love it. 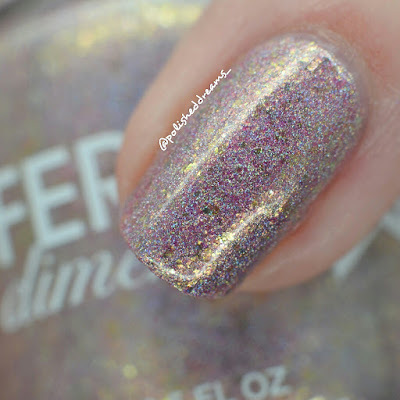 I obviously failed to read the description on RC that said it had sterling silver flakies and shimmers as this was the bit that surprised me. As I said, this didn't put me off, it just proved what else I was missing from my collection! This had a similar formula to Jill so was nice and easy to apply and the flakies all seemed to distribute pretty evenly with no help from me. You can really see them in the macro shot.. so beautiful! Swatch shows two coats with topcoat. 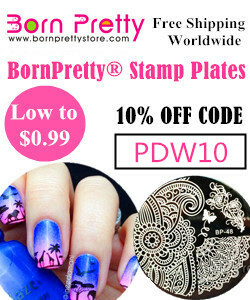 Yet again I've made some fab new polish choices! 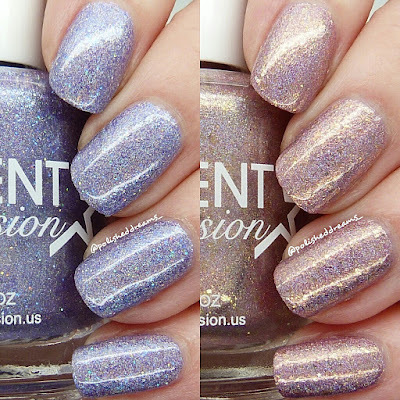 The only problem I have now is that I want more polishes from Different Dimension... Rainbow Connection has lots available at the moment and you can find them all here, including Jill and Bo Peep. Yep that's right, for once I've done a post on polishes that are still available haha! These were both such delicate and pretty polishes, I really love them. I'm not usually one for delicate and pretty either to be honest! I've done some nail art with these two beauties so make sure you're following my Instagram to see what I created. A link for all my social media accounts is below. I'm still on the lookout for a light pink holo so if you have any recommendations I'd love to hear them!